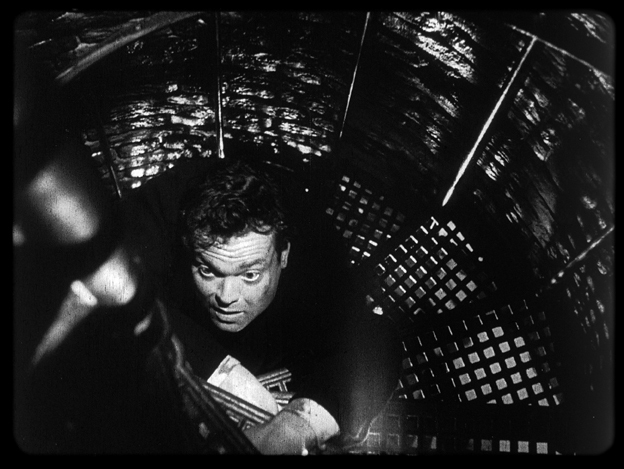 Film Recommendation of the Day 2/14: The Third Man (1949) | Generation Film! There are only a select few films over the last century that are truly recognizable as iconic masterpieces, where the dialogue or imagery have been repeated and alluded to so often that the film becomes lodged in the cultural subconscious of most people. Carol Reed’s matchless film The Third Man is certainly one of those cinematic archetypes on the level of such acclaimed and notable pieces of art such as Akira Kurosawa’s Rashomon (1950), John Ford’s The Searchers (1955), and Michael Curtiz’s Casablanca (1941). These films are truly meant to be experienced multiple times as the familiarities of each notable character reveal (Harry Lime in the shadowed alleyway in Third Man) or each memorable gripping visual sequence (the classic door revealing a western landscape in The Seachers) act as crescendos to a moving and elegant piece of music. Set in the fallout of World War II, a setting that was used on a number of notable films including Alfred Hitchcock’s The Foreign Correspondent (1940) and Fritz Lang’s The Ministry of Fear (1944), Graham Greene’s script for The Third Man structures itself around the constant motion of its lead character Holly Martins (Joseph Cotton). The chaos of the confusing environment that this American experiences in the literally demolished city of Vienna shows a parallel to the majority of Europe’s physical and mental state after the consequences of the World War. It’s a story filled with secrets as dark as the vile sewers and characters as complex and morally corrupt as the physically deteriorating buildings around them. Of course, the great presence of Orson Welles as the mysterious Harry Lime hints at his contributions to the films as more than a screen gem. It is said that he not only wrote the title of the film but that he also wrote the most significant and memorable speech known as “The Cuckoo Clock” speech stating, “You know what the fellow said – in Italy, for thirty years under the Borgias, they had warfare, terror, murder and bloodshed, but they produced Michelangelo, Leonardo da Vinci and the Renaissance. In Switzerland, they had brotherly love, they had five hundred years of democracy and peace – and what did that produce? 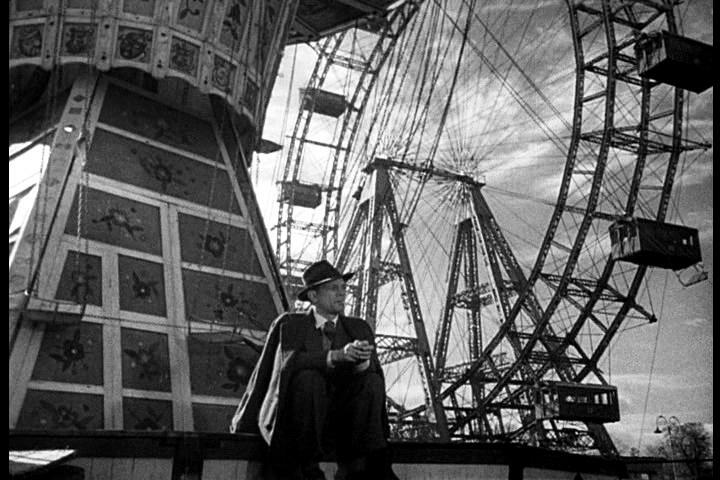 The cuckoo clock.” The Third Man indeed bears the signature stamp of other Welles films, either with the overlapping dialogue exchanges, an appropriate mix of undertone and overtone, and even the titled compositions alongside moving camera work. But no one should confuse these obvious similarities with Welles presence and should instead contribute them to Carol Reed’s masterful directing abilities. Anyone familiar with Reed’s work, including The Fallen Idol (1948), Night Train to Munich (1940), or Odd Man Out (1947) knew of his prowess as a technical director. Welles contributions and perhaps influence on The Third Man could be seen as a brilliant collaboration behind the camera that made it such an iconic picture. The Third Man ultimately is a film that had every element magnificently fall into place, with Graham Greene’s stunning and elusive script, Carol Reed’s tactful direction, Anton Karas’ brilliant soul driving score, and a cast lead by two of early cinema’s great actors. The film is a non-stop visual experience filled with such memorable architecture, stunning shadows and lighting (the unforgettable sewer chase), unique settings (Holly Martins sitting in front of the carousel), and memorable characters brought to life through dramatic performances. Columbia University critic Luc Sante wrote about The Third Man stating, “It is a singular object, a fluke, a well-oiled machine, a time-capsule item, a novelty hit. There has never been another movie quite like it.” And it is true; The Third Man stands on its own as an unrepeatable piece of cinematic art. It’s paradoxically locked in time while also being timeless in experience. As films come and go Carol Reed’s The Third Man will remain one of those iconic films that ignite our love for the cinema through its timeless visuals, its memorable dialogue, and it’s fascinating characters locked in a decaying state of physical ruin and moral corruption.